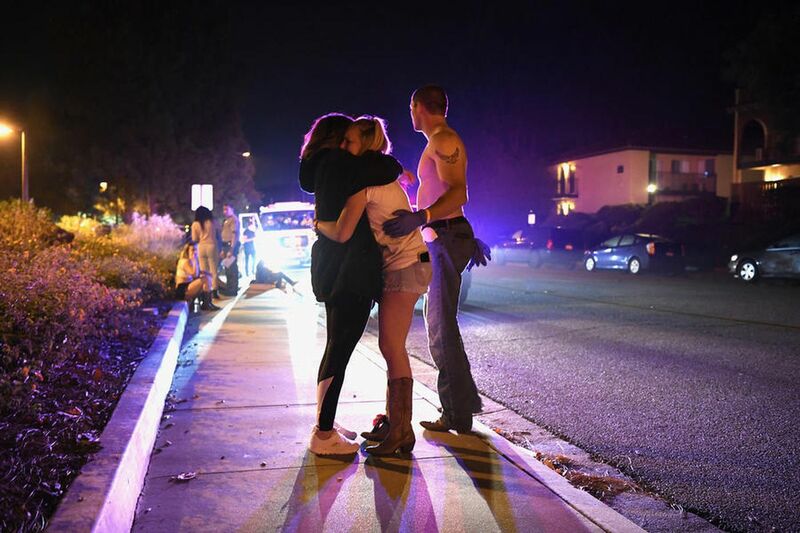 The massacre at Thousand Oaks Bar last night gives us yet another instance to talk about the plague of mass shootings which have become standard for Americans. But instead of falling into the same arguments about gun control, mental illness, and white supremacy, I want to think about this in terms of what it means for the nation going forward as a threat in the same vein as Al-Qaeda, but far more dangerous. To begin, let’s ask the obvious question: what is the practical difference between a Sunni Arab extremist blowing himself up and killing more than a dozen people, and a white male extremist entering a bar with a gun and killing nearly a dozen people before killing himself? That’s not one of those rhetorical questions used to make a point. There are in fact substantive practical differences between those two scenarios, but I think those differences are illustrative of the seriousness of the danger we face. For example, the main difference between the attacks is the weapon of choice. Guns are used as the weapon of suicide attackers in the United States because they’re easier and more effective than bombs. Benjamin Wittes made an interesting point in the weekly Rational Security podcast when he noted that if a person even looks up how to make a bomb in the United States, their name goes on a list somewhere, while no one bats an eye when a person purchases a gun. Understanding that difference is crucial, because the psychology of a suicide attacker is often misunderstood as a matter of fanaticism- only someone motivated by religious zealotry or anti-imperialist fervor would kill themselves in an act of political violence. But the result of most attacks in the United States is the same as those around the world- dead civilians, and a dead perpetrator killed by his own hand. The use of guns in these attacks is what makes this threat so much more dangerous. The raging debate around gun control is useless now (save as a way to introduce young people who have to live with the reality of being murdered in their schools to political action), because the weapons are already out there. There are nearly four hundred million guns in the United States, and short of something magical happening, they aren’t going anywhere. With ready and easy access to weapons which can kill as many people as any improvised explosives, the only thing missing now is the organizational framework to mobilize what have largely been lone-wolf style attacks into a cohesive political and military force wielding violence to achieve its ends. We’ve seen this in America’s past with the Ku Klux Klan, so we don’t have to stretch our imaginations too far to see the shape that such an organization would take. And the political nature of the violence in the United States is already apparent. There is a clear and consistent racial and ideological component to the suicide attacks that we see carried out here. They are overwhelmingly carried out by white men with right-wing political philosophies which combine religion, racism and patriarchy, and form the basis for a sense of grievance regarding their relative loss of power and standing which manifests in violence. We also have to be clear about this. These attackers are responding to changes in their environment. They are responding to addiction, to inadequate housing and job opportunities, and to a political class which has no interest in their concerns. Basically, they’re experiencing the types of stresses people of color in this country have experienced for hundreds of years, but their toxic ideology instructs them to commit suicide attacks against others to express their frustration. These men did not commit suicide, but they exemplify the racial and political makeup of the shooters who do. 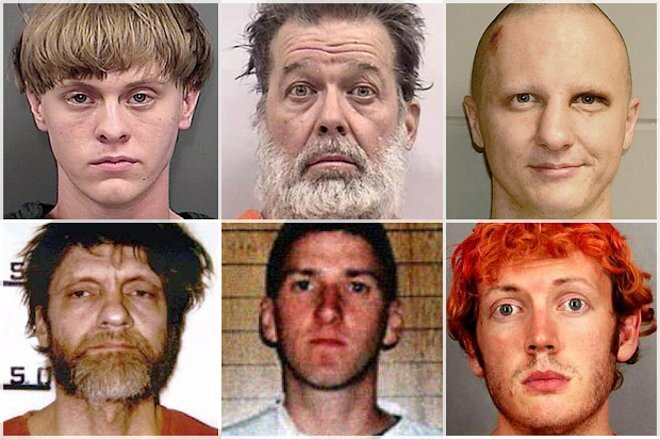 There are exceptions, of course, but the modern history of mass violence in the United States (that is, mass violence since the Oklahoma City bombing) has a few examples of Islamic terrorism, a few examples of workplace violence, a few examples of domestic violence, and otherwise, angry white men killing dozens of people in soft targets. Things become truly frightening when we consider the infiltration of law enforcement agencies across the nation by white extremists, a threat so real that the FBI issued a warning about it ten years ago. This is analogous to the infiltration of security forces in Iraq, Afghanistan and other nations by local extremist groups. So while there are some important differences between the white extremists who commit suicide attacks here and extremists who do so in other countries, there are also clear similarities in grievances, tactics and expected outcomes. Those similarities are necessary to understand, not only to label white extremists as terrorists. Instead, we need to look at how these other extremist groups have functioned as a glimpse into the future of the political violence we can expect here. There will be further suicide attacks by white extremists in the days and years ahead. There are too many guns and too many angry white men to expect otherwise. What we must prepare for is the organizational infrastructure which is surely brewing at this very moment to control and direct these future attacks. Again, the Ku Klux Klan is instructive here, as it did not simply wield random acts of violence against Black people in the South, as that had always existed. The Ku Klux Klan arose as an organization in response to a moment in time to systematize violence for political ends. They came together to terrorize Blacks in the Reconstruction South and maintain a specific social order. The grievances of extremist white men today appear less focused, but the ideology which motivates them still derives from the same sense of entitlement, made even darker with racism and misogyny. We are in a similar moment in time today. The question is, what will be the impetus that will galvanize a new kind of national structure into existence? There are already large online communities of these people, but they lack a charismatic leader who can focus them. That man is not President Donald Trump. Despite his explicitly racist rhetoric and policies, he is neither smart enough nor strategic enough to lead the movement. He is exploiting racism for his short-term political gain. Trump is the harbinger of that leader. In the next decade, we’ll have to contend with the men who were sitting at home on election night, and watching women of color win national seats, saying, “I don’t like this.” Just as the wave of women running for and winning elected office was a response to Trump, there will be a response to them. That leader will have a network of individuals who are ready to kill and die at his disposal. That may sound like hyperbole, but it is happening right now, again and again, before our very eyes. How much longer until we start to see the forest and the trees?